The information and recruitment session is scheduled for 5:30 to 7 p.m. Tuesday, March 22, at the Dublin Campus Student Center, 1600 Bellevue Road. This is a drop-in event where representatives of Academic Affairs, multiple academic departments and schools and Human Resources will be present to answer questions and assist potential part-time faculty in filling out and submitting applications. Any community members interested in teaching in any academic discipline are invited to attend. "This is the first organized effort in several years to recruit part-time faculty in the Dublin area," said Dr. Stephen Svonavec, Director of Academic Initiatives on the Dublin Campus. 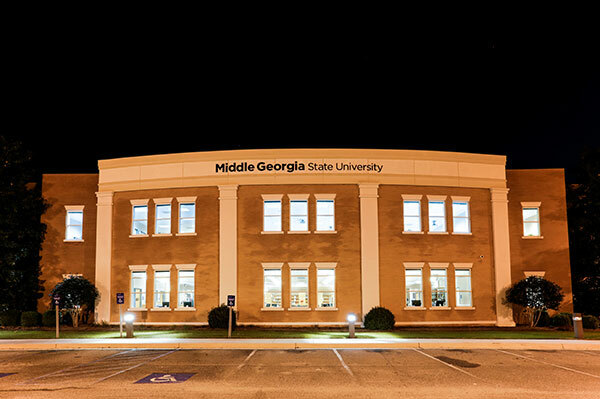 "Although we'll be focusing on finding faculty for Dublin, anyone interested in teaching online or at another Middle Georgia State campus are welcome at the recruitment session." Recruiting part-time faculty is one step toward making it possible for students to complete selected bachelor's degrees entirely on the Dublin Campus, Svonavec said. For most disciplines, applicants must hold master's degrees with at least 18 graduate hours in the subjects they want to teach. Each applicant should bring to the recruitment session a letter of interest with a current resume, a statement of teaching philosophy and unofficial transcripts of college work. For more information, contact Dr. Stephen Svonavec at stephen.svonavec@mga.edu or 478-275-6769. Dublin Campus maps and directions are at http://www.mga.edu/about/maps.aspx.